All ten teams got their seasons off and running with 10 continuous hours of Sky Sports coverage on the first Saturday of the new year. A great stat to World Cup year for the VNSL, the teams and Netball itself. The first LIVE tv game of the regular season also took place as Team Bath entertained Surrey Storm. Staying on the netball front, the Quad series between England, Australia, South Africa and New Zealand also took place at the M&S Bank Arena in Liverpool, as a warm up for the big one in the summer. England finished second overall in what was a tremendous tournament and although they couldn’t quite take top spot on this occasion, a victory over Australia Diamonds is a real marker to lay down ahead of the World Cup. Netball finished 2018 in outstanding shape and has already kicked on in the early stages of 2019, by barely being off the tv, which has proved to be a real fillip for the clients we have on LED perimeter advertising. The FA Cup always brings plenty of interest for us with rounds 3 and 4 taking place in January and with the kit sponsorship deals we have done with Leeds (32 Red), Preston (32 Red) and Bolton (Betfred), it would’ve been nice to see the teams progress a little further and generate extra publicity for the respective brands, but it wasn’t to be on this occasion. With National League heads on however, it’s been great to see Barnet progress through a tricky third round tie, away to Championship high fliers Sheffield Utd and then force a replay with Brentford in round 4…………………. Again, we provided clients with LED perimeter advertising LIVE on BT Sport in the early rounds of the world’s most famous domestic cup competition. We were present at the National League EGM as always at this time of year and the league really is in a healthy position at present, with the season heading towards what looks likely to be a tremendous finale. The BT Sport cameras were LIVE at the CNG Stadium in Harrogate as ‘Town’ welcomed Hartlepool Utd for what turned out to be a great game, with the home side running out deserved 3-1 winners and thus keeping themselves as one of numerous teams in the hunt for promotion. 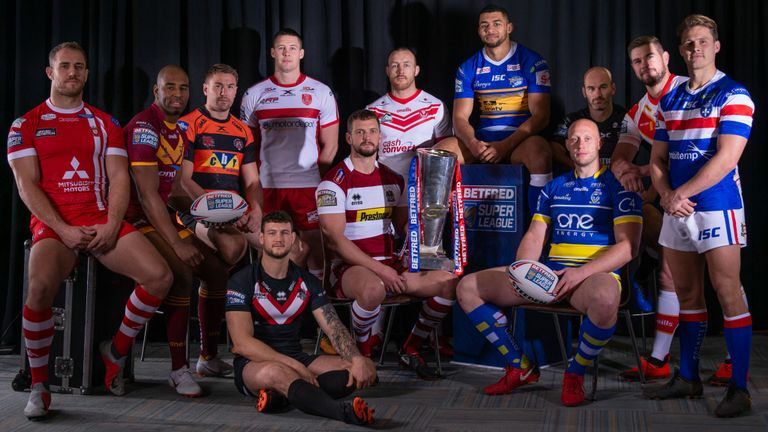 Although Super League doesn’t kick off in earnest until next month, January is where clubs and the league itself have launch days and partner events ahead of the new campaign. We were delighted as always to be invited along to Huddersfield, Salford, Wakey and Warrington and the ‘Sports 360 Hall of Fame’ lounge also made its debut as Widnes Vikings launched their 2019 campaign. We can also bring you news in February of how we are extending our in stadium presence across the Betfred Super League this time around…..……………You won’t be able to miss us! We had a ‘Yorkshire’ day as we headed off to the White Rose County amidst a smorgasbord of sports and clubs, dropping in at Bradford Bulls, Barnsley FC and Wakefield Trinity to talk all things sport before 2019 gets truly underway. The month finished with arguably the biggest game of the regular Super League season, as Saints welcomed Wigan to the Totally Wicked stadium. Betfred begin their third season as Title Sponsors and what a fantastic deal it has been and one we are extremely proud to have been a part of. This season may well prove to be the best yet, as we are led to believe there will be “New beginnings” and the early signs are that the rule changes have brought about a faster and more entertaining tempo to the game. Saints took the early points on this occasion, but we know a few clubs are very optimistic about the campaign and as we all know, it’s a long season ahead and in the ‘greatest game of all’, you have to be ‘on it’ from the first kick to the very last.